When installing a home security system or a panic alarm system, it is important to perform a discovery so that you can document all vulnerabilities around the property you wish to secure. Why? Because a home camera system is worthless if you do not cover every window and door. When implementing an IT security solution to protect your data, it is important to perform a discovery so that you can identify all IT assets that need to be secured. Unfortunately, many organizations continue to struggle with IT asset management and as a result, assets are often misplaced or lost. Why? Because IT assets are often misplaced or lost when they are changed, updated, relocated, or refreshed. Assets that are misplaced or lost can put an organization at risk because it is not possible to keep an IT asset up-to-date when you don’t see it. It is no secret that many organizations have recently been hit with ransomware attacks such as WannaCry. On March 14, 2017, Microsoft released a critical patch that protected IT assets from WannaCry ransomware; however, on May 12, 2017, at least 230,000 computers in more than 150 countries were paralyzed by the ransomware. Why? Because these organizations were not current with their patch and security updates. Many organizations that were hit with the ransomware were running unsupported operating systems like Windows XP and Windows 2003, which Microsoft no longer supports. Maps are critical to generals and commanders who are at war because they provide a complete view of the battlefield. Maps provide details about the landscape along with all its obstacles. When fighting a war, it is important not to be surprised by the enemy. Without maps, generals and commanders would find it very difficult to identify and secure vulnerable areas on the battlefield. 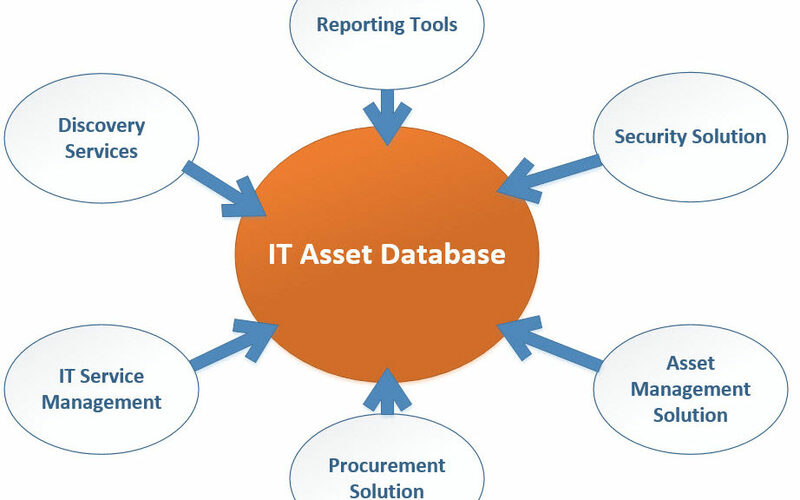 IT asset databases are much like maps that provide a view of the battlefield. When IT can see everything, they are able to see obstacles that are putting the organization at risk. Organizations that want to protect themselves from ransomware attacks need to have reliable IT asset reports so they can see all assets that are vulnerable to a ransomware attack, such as older outdated operating systems and applications. Organizations that do not have reliable asset reports are at risk. In other words, they are fighting a battle without a reliable map. To avoid the cost and stress experienced by people who have been impacted by ransomware attacks, get a reliable map, i.e., build an accurate and complete IT asset database using a reliable IT asset management solution. Then build processes and procedures to track the assets throughout their lifecycle. To apply security policies to IT assets, security solutions must see the asset. Historically, organizations have not given much attention to the importance of discovery services and the IT asset database. They view it as a necessity to their security solution instead of a critical component to the business. If you left one window unlocked in your home, it would not matter that the rest of the windows and doors were locked. Everything must be discovered for complete security. Be sure to choose reliable discovery solutions if you want to ensure your network is secure. An undiscovered device is like an unlocked window. Organizations need to implement IT asset management to ensure security is applied to every IT asset on the network. Organizations that are not managing IT assets using ITAM principles do not have a complete security solution. Don’t let your data be compromised by an IT asset that you did not see.